Keep your Ram truck or van running as good as the day you drove it off the lot when you bring it in for service at Rockie Williams' Premier Dodge Chrysler Jeep Ram. We are your local Murfreesboro, Tennessee area Ram dealership, which means we offer manufacturer-certified service backed by expert Ram mechanics. Our team can handle any problem you put in front of them, and with shuttle service, rental cars, and Saturday hours, we make things simple. Plus, we only used genuine Mopar parts and accessories to make sure your Ram vehicle stays under warranty and runs as reliably as ever. Invest in the integrity of your Ram truck and visit our Ram service center today. Service your Ram vehicle at your trusted Murfreesboro, TN Ram dealership. Bring your Ram 1500 truck or ProMaster van in to Rockie Williams' Premier Dodge Chrysler Jeep Ram for your next 30k or 60k appointments, oil change, tire rotation, or fluid replacement service. 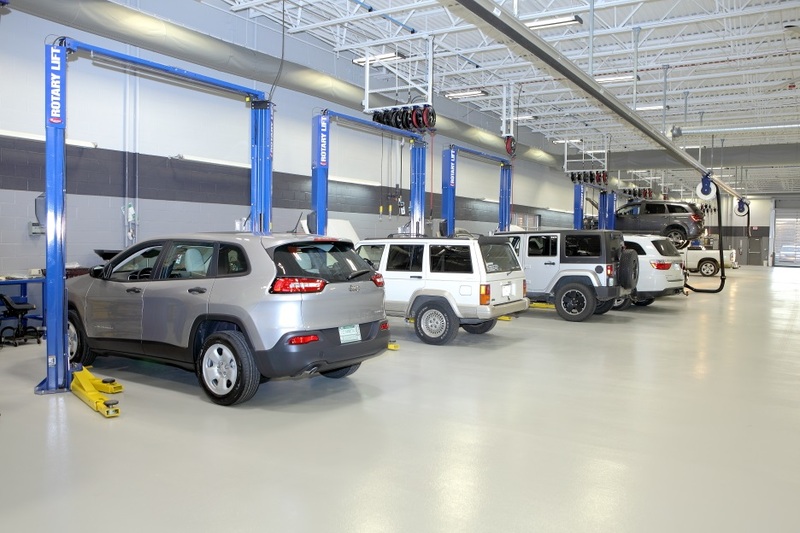 Our service center near Murfreesboro, TN can handle engine or transmission troubles, along with a wide range of automotive services, including brake service, transmission repair, and engine diagnostics. Whether it's just time for routine maintenance on your Ram truck or van or you require more complex work as a result of wear and tear of the road, Rockie Williams' Premier Dodge Chrysler Jeep Ram is here for you. Give our Murfreesboro, TN Ram service center a call today to schedule an appointment for your Ram vehicle. We also have a convenient online scheduling tool to make it easy to bring your Ram car or truck in to Rockie Williams' Premier Dodge Chrysler Jeep Ram. Take advantage of our comfortable waiting area, 3,000-gallon aquarium, and children's playroom during your Ram repair. ​ We look forward to serving you and your American-made Ram truck or van.